"The next time you're waiting for that bus that is really, really late, there's no need to worry about your iPhone or iPad battery dying. 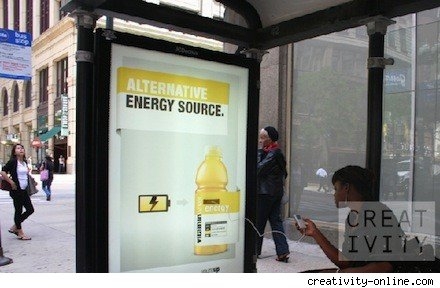 Thanks to a creative ad company and the Vitaminwater brand, bus shelters in several American cities are being equipped with a USB port for charging." Not too bad of an option if you use mass transit, as I imagine the wait can get pretty boring if you have to conserve your battery power. Currently they are only placing these in Boston, Chicago, Los Angeles and New York, and no word on if it will be expanded. Nice ad gimmick that would make Don Draper proud.